Nokia NFC does what it says. You can read or write any standard NFC tag, and the ones you write can be read by any NFC enabled device regardless of operating system. Nokia built in Foursquare support and like other tags, you can post a tweet, “like” something on Facebook or open a Google+ account. Yes, you read that right, even though there is no Google+ app for Windows Phone, you can write up a tag to open up to Google+ if you want. The interface is pretty simple, and like most Windows Phone apps, follows a clean use of space overall. 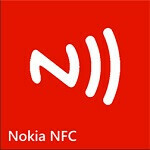 Nokia NFC is available now the Windows Phone Store. There are other NFC writer apps already in the store, but certainly Lumia owners will be feeling the love knowing the Nokia continues to pack its collection. You can check out Nokia NFC in the Windows Phone Store here. Hope HP buys nokia, like they did with palm. so they can run it into the ground like they did with Palm? I'm sorry, but your opinion is simply miserable. nokia is miserable. Look at all the crap they showed of at mwc. No innovation. All the phones looks the same. Even Hp look like the future compared to nokia. You seem like you're misreable watching nokia make nice phone. Don't they make cream or something to get rid of hemoroids. HP is not in a position to buy much of anything these days. I really appreciate of Nokia's effort. Nokia always bring new thing to its costomers. I love Nokia and Support you forever.